Get ready to transcend your state of mind! 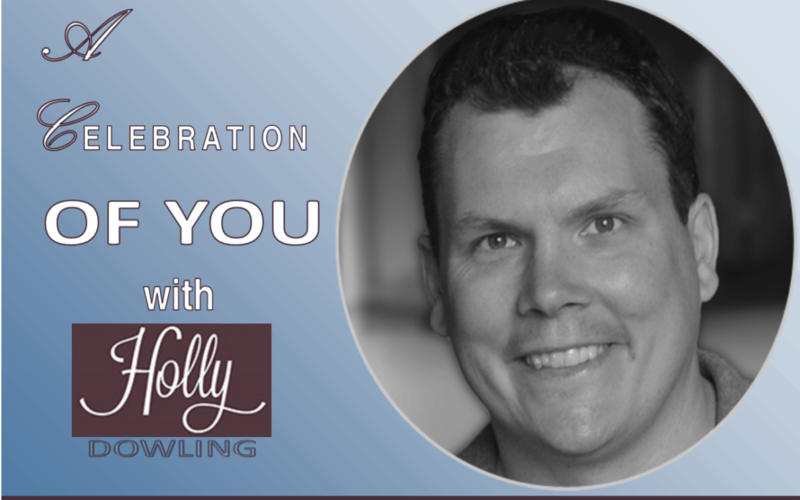 My amazing guest today is a gift to our world, personally AND professionally! Sarah Merkle, founder and creator of Zen4, transforms the corporate wellness arena into real world experiences. Have you spent the last hour staring at a computer screen? STOP and LISTEN to Sarah’s poignant tips on making it through your day! Formerly a nutritionist, HR guru, and fitness & health professional, Sarah compulated all the talents surrounding these professions and honed in on a valuable need in society… self! A self proclaimed perfectionist all of her life, Sarah’s “aha” moment occurred after she achieved an attainable goal and still found herself deeply unsatisfied. “Okay so it’s not really about what you look like on the outside, it’s how you feel about it on the inside.” Listen in as Sarah describes a pivotal moment catapulting her professional world into a fulfilled need for many! Get ready for my very dear and longtime friend who I am honored to have shared the stage with over the years! Mike Robbins, renowned author, consultant and leadership speaker is truly a gift to us all and I am always in awe of his amazing spirit and transparent soul! Whether he is speaking in front of thousands or sitting right next to you, Mike is divinely authentic to the core. And, our conversation today is loaded with fantastic “take it to your life” nuggets that will impact your world! A natural born baseball player, Mike envisioned a life playing in the major leagues. His childhood, college career, and his early adult life were defined by baseball. With his very identity vested in baseball, a tragedy that crushed the very beginning of his career happened to be fate stepping in to nudge Mike into finding his highest calling. “In human nature we tend to focus so much on what’s next, what is the next goal, what is the next milestone.” Listen in as Mike candidly describes his reaction to the ONE question from a close friend regarding the loss of his baseball career that changed the trajectory of his life. Impactful yet compassionate, Mike dives into some of the top exercises he delivers to top executives and influencers. Plus, listen to a pivotal moment for Mike when he learned a little known fact about famed baseball player Willie Mays that almost kept him out of the game! Magnetic, joyous and BRILLIANT in every way, her exuberant voice will reach through the airwaves and touch your soul! My amazing guest, Keri Murphy, transcends miracles from the mess! A natural born entrepreneur, Keri is the CEO and founder of InspiredLiving which is a culmination of over 20 years as a business mentor and international speaker. And the “how” she arrived here, will blow you away!While entrepreneurship had always been in her blood, it was more than just the family businesses that shaped her journey. At the tender age of 11, Keri’s childhood was overshadowed by a dark secret that plagued her family for generations. Listen in to how Keri’s brave actions at a young age broke this tumultuous cycle and the ripple effect it had on her entire family as well as the rest of her life. As she describes the many chapters in her life and the tests which validated her strength and resilience, Keri has an “aha” moment right on the show acknowledging the “five-year sprints” in her career world! Her journey is a compilation of her “Inspired Living” business and resonates today in EVERYTHING she does. “We have chapters that are full of struggle and growth and then we have chapters where you just say, ‘wow.’” Keri spent a lifetime succeeding at business and has reached the pinnacle of her passion helping others to establish and succeed at the businesses they love and create their own lifetime “wow.”And GET READY as I dive into a very unknown part of my life with Keri’s LIVE Facebook event this Monday! I am honored to kick off Keri’s “Get Inspired Week” in preparation for the Brilliant Event being held June 2- 4. Join us on Facebook Live Monday, March 18th, at 10AM PST. Visit www.InspiredLivingTV to learn more about this event and enjoy valuable freebies from Keri’s resources! A SHOCKING near-death experience takes my truly inspirational guest today from mathematician/non-believer to a profound spiritual advocate! Radiating with joy and spirit you will clearly hear in his voice, David Rowe is the founder of Enlightened Leadership Consulting which specializes in high impact engagements to take leaders to their next level of excellence. But it’s Dave’s story outside his professional career that will open the mind of any skeptic! As a child, Dave’s experiences hardened his heart toward the light of the human experience. Fast forward several decades and the man who has always been scientific and who crunched numbers for a living and needed tangible proof for anything…had a near death experience that changed EVERYTHING. “I had already surrendered my life on this planet.” Listen in to Dave’s riveting detailed account of his near-death experience. In the last 5 years since his experience, Dave has transcended life as he knew it; his heightened sense of intuition and the purpose driven life has enhanced his business practice to a unique uncanny level. And on a personal level, his mantra to “volunteer your strengths” is reflected in his involvement with the Good Grief Organization. “Being involved in this organization has allowed me to be more connected to death and what comes out of the experience of death.” Dave concludes our conversation with two powerful, thought-provoking questions that you can apply to your life today! My amazing guest today is a walking testimonial that when you have a passion backed by purpose, you break down everything to make it happen! Jennifer Fisher, National Managing Director for Well-being at Deloitte, empowers Deloitte’s people to prioritize their well-being so they can be at their best in both their professional and personal lives. Jen also leads Deloitte’s Inclusion Center of Excellence. Prior to becoming the National Managing Director of Well-being at Deloitte, Jen had always been a driven professional often overlooked the boundaries needed in her life… “We live in this go, go, go world and we are starting to see the negative impact of not disconnecting.” As she was moving toward her own burnout, Jen reveals the one person who gave her permission to pause and change her career path. In spearheading this new environment of how well-being would look at Deloitte, Jen found that, “My definition of ‘well-being’ was narrow.” Find out the life altering news Jen received and how this experience transformed the definition of her career and her life, forever. As a result of Jen’s journey, not only is she leading Deloitte’s well-being culture, she is also a regular contributor to Thrive Global, author of various Deloitte Insights reports, and hosts WorkWell, a podcast series on the latest work-life trends. In having the great privilege of serving Deloitte for years as well as one of my favorite clients, I have witnessed first-hand how Jennifer’s spirit for well-being has manifested company-wide with all the passion and conviction of a true thriver! My incredible guest today is a conversation 30 years in the making! Florida real estate powerhouse Anne Torline not only shares the twist of fate that made her find her true passion in life, but we also discuss how our friendship impacted the rest of my life in a profound, life-altering way. At a time when the term “hospitality industry” was not a field of study, Anne and I both discovered a way to delve into a career where our initial passions in life drove us. I found Anne, or rather she found me, as an intern on the beautiful island of St John where Anne became one of the most prominent executives at the exclusive Jupiter Island Club Resort. It was there where my relationship with Anne was more than just as my boss, she helped me let go and soar at a very tumultuous time in my life. While Anne guided me personally and professionally, her own leap of faith was about to transpire. “Everyone has a cross they are bearing, some are just bigger than others.” Listen in a as Anne describes a very painful time in her life that left her no choice but to change her career. Anne CHOSE to not live in woe is me but wow is me! I am grateful to celebrate Anne and our continued relationship together after all these years! Who has made a difference in your life? Do not miss an opportunity to share with that special someone TODAY the impact they have made in your world! In her FIRST interview ever, I am blown away by the honor of having Laura Neutzling, an entertainment industry leader and owner of Four Eyes Media. But perhaps most important to me, Laura is the amazing producer behind one of my most favorite podcasts, “Jesus Calling: Stories of Faith,” which unbeknownst to many, this daily devotional drives me personally every day on many levels. Laura’s revealing candor about relationships and discovering her life’s mission will inspire valuable takeaways on how it really is never too late to dream! 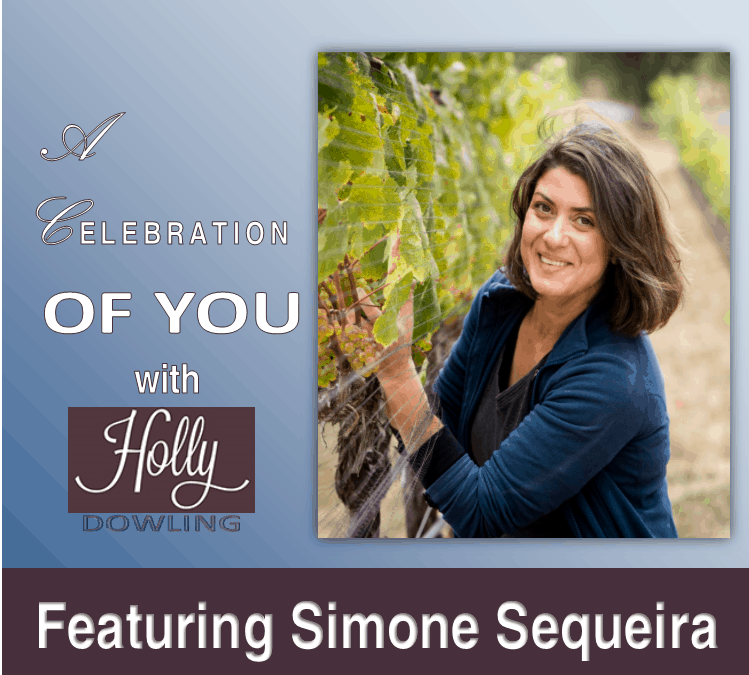 Leading the pack in the female winemaking industry, Simone Sequeira, successful La Follette Winemaker, has an adventurous spirit and tenacity for purpose that will light up your world! Simone is a poster child for adversity and proves that if you have a passion for a gift, the universe will open up and create serendipitous opportunities for you. Wait until you hear how we met! The epitome of taking it to the limit, Jo Ann Bauer redefines, retires and rewires her life from start to finish! From broadcast journalist to online coach and storyteller, Jo Ann culminates her communication talents as a successful realtor on top of it all! 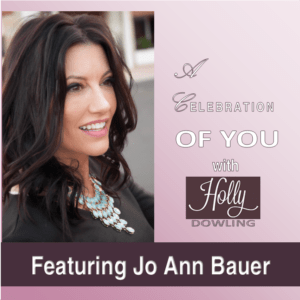 Through a series of traumatic pitfalls fueled by toxic relationships, my candid conversation with Jo Ann will take you from laughter to tears in a heartbeat! A SENSATIONAL story of rags to riches to rags and back again is served with a side of JOY emanating throughout our conversation with amazing Chef Alina Z, celebrity chef and celebrated author. 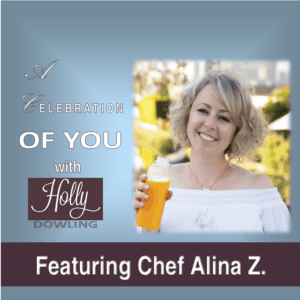 Chef Alina Z will inspire you with her candor and vigor for life’s challenges!